FACEIT, one of the largest competitive gaming communites, has added PlayerUnknown’s Battlegrounds to their client. The PUBG – FACEIT client platform will include leagues & ladders, advanced stats, anti-cheat and region lock. FACEIT is a great way for PUBG players to prove their competitive worthiness. 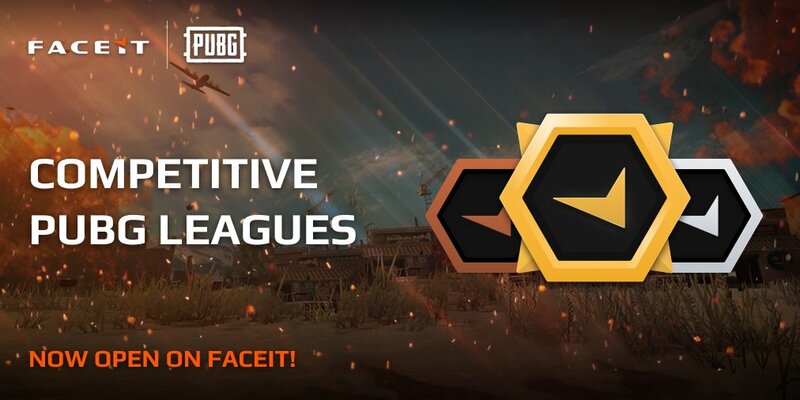 PUBG is available on the FACEIT client in three regions: North America, South Amerca, and Europe. Depending how well it takes off, they may expand into other regions. After a successful beta test in August 2018 they have decided the fully launch the system. Since beta launch, over 200,000 players have signed up. Following a successful closed beta, @PUBG is launching on FACEIT tomorrow at 5PM BST!